The air is calm this Arctic morning as Zacharias Kunuk prepares for a long day. His morning routine does nothing to quell his nerves—today he’s going on his first walrus hunt. It’s 1980, late July—the month walrus hunters climb into motorized freighter canoes and leave Igloolik, a small Inuit community in Nunavut, Canada. 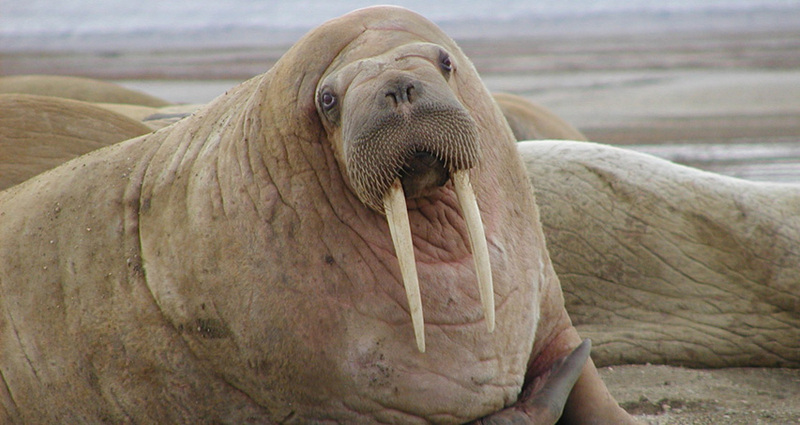 Every summer since he was a boy, Kunuk has watched the hunters return, weary but triumphant with walrus meat. He’s always wondered how far these men travel to reach the floating rafts of ice where walruses rest during the summer. And he’s pondered how just a few men can possibly kill a creature that might weigh more than 20 men and then wrestle it into a canoe. This is the day Kunuk will get answers. He also plans to capture it all on camera. A young filmmaker in his mid-20s, Kunuk has a small budget to finance the hunt, a cultural practice so vital to his community’s identity that he wants to record it for future generations. The temperature on an Arctic summer day rarely exceeds 10 °C, with much cooler air out by the sea ice, so the hunters dress for the climate: skin boots, mittens, and knee-length parkas with fur-lined hoods. Kunuk joins an experienced elder and the man’s brother as they load their boat with harpoons, guns, knives, tea, and bannock (a fry bread). Nearby, other men ready their own freighter canoes. Then they push off—a tiny flotilla in a great big sea—on their way to hunt an enormous animal. As they travel, the hunters explain how to read the angle of the sun, the direction of the currents, and the subtle movements of the seaweed—a navigational system so baffling to young Kunuk that he silently questions how they will ever find their way home. After several hours spent listening to the engine’s mechanical chug, Kunuk hears a chorus of mumbling and chattering, grunts and growls, a sign that they are close to the walruses. (That sound will later remind him of the cacophony in a busy bar). They shut down the motors and drift toward the ice. As the walruses lift their hefty heads, the hunters raise their rifles and aim.